Holy bottle openers, Batman! 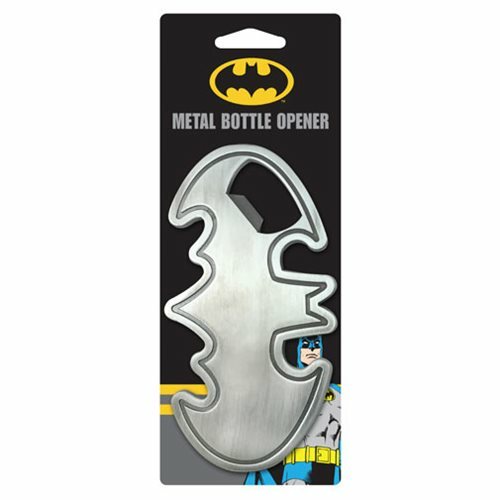 This Batman Batarang Metal Bottle Opener looks just like the Caped Crusader's batarang, but turned into a bottle opener. Batman probably keeps one on his utility belt! Measures approximately 4 3/4-inches long by 2 1/2-inches in height. Ages 13 and up.